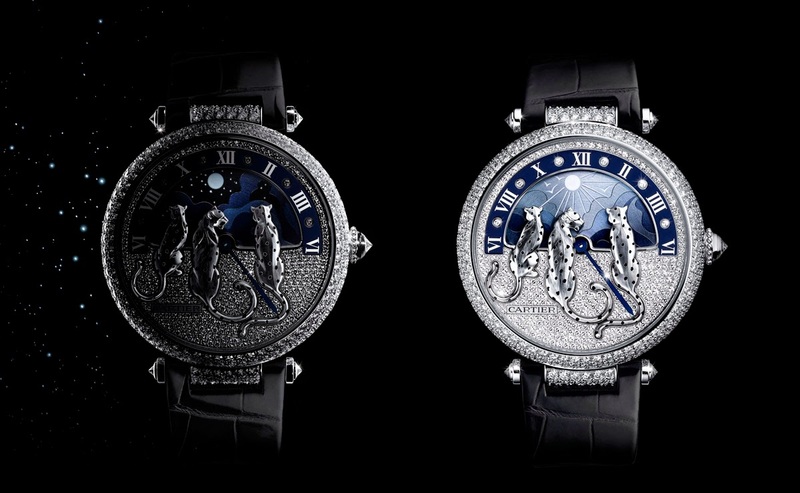 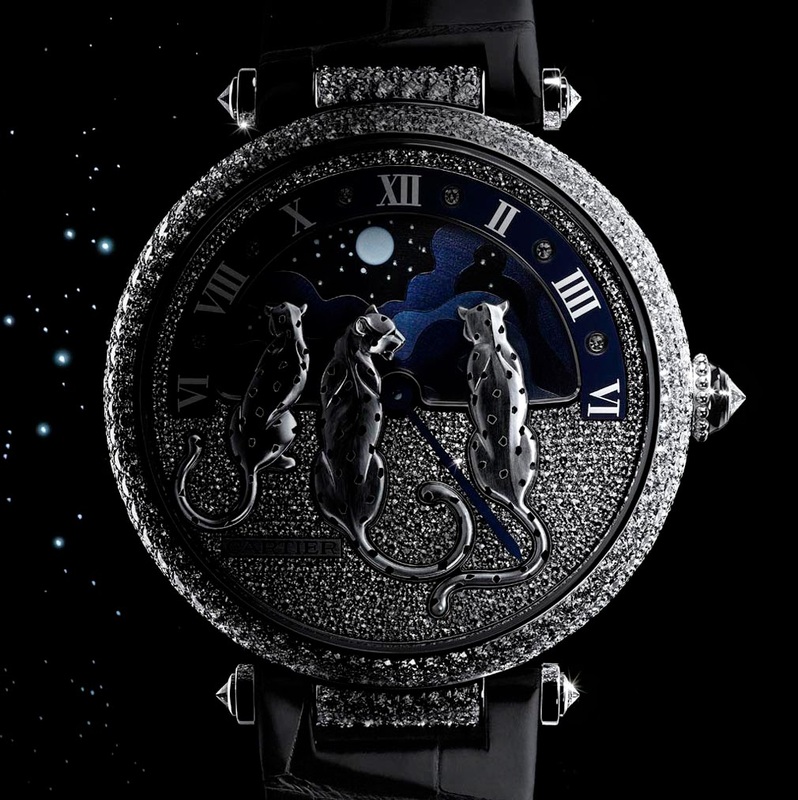 The panther is a traditional subject for Cartier jewels and timepieces but in the Rêves de Panthères watch - a SIHH 2015 preview - it appears for the first time in a pack, surrounding and observing a beautifully decorated disc where the sun and the moon take turns indicating the hour of the day. 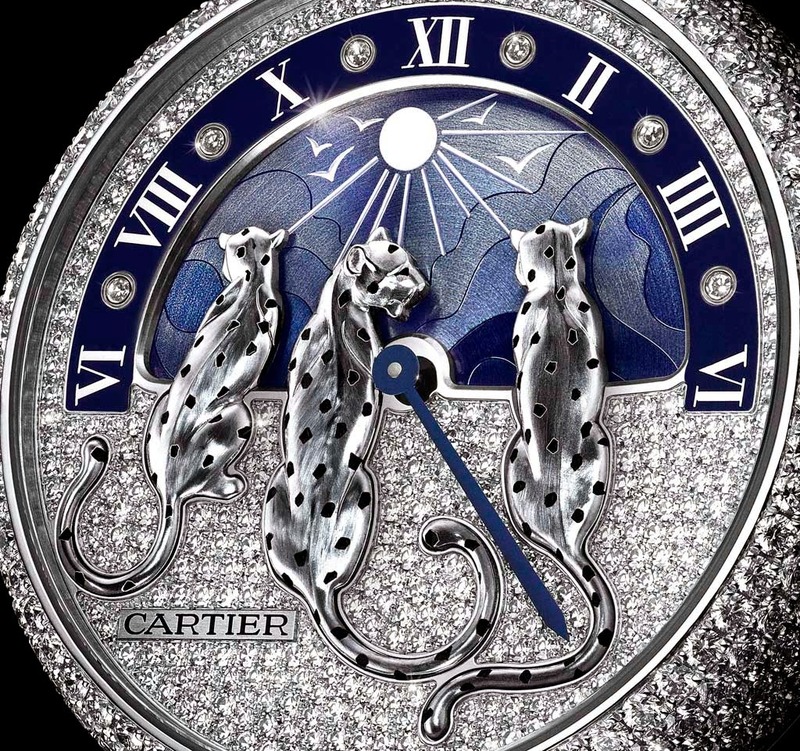 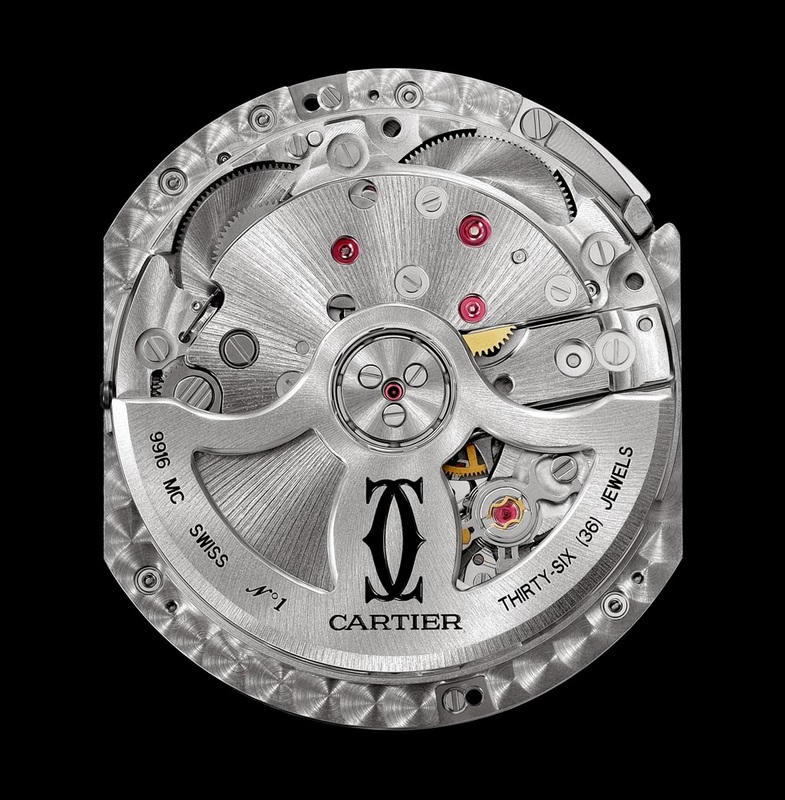 While we are not particularly fond of jewelled watches we need to admit that the Rêves de Panthères watch is indeed fascinating: a feminine interpretation of one of Cartier’s most recent manufacture movements, the self-winding calibre 9916 MC with day/night complication which beats at 28,800 vibrations per hours and offers a power reserve of approximately 48 hours. 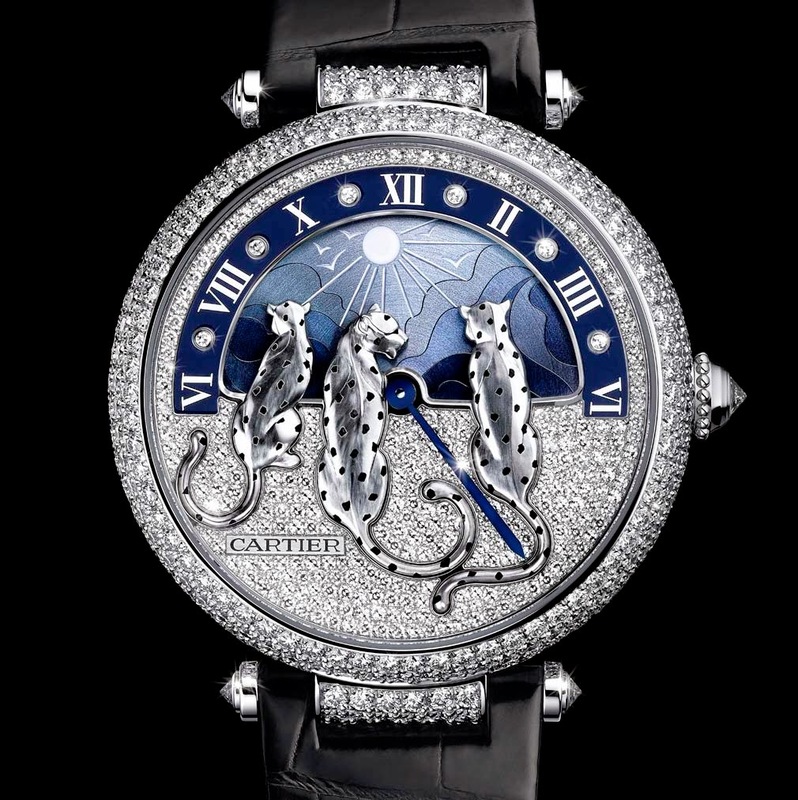 The 42 mm rodium-finished white gold case is entirely pavé-set with diamonds with the silhouettes of the felines spotted with black lacquer. 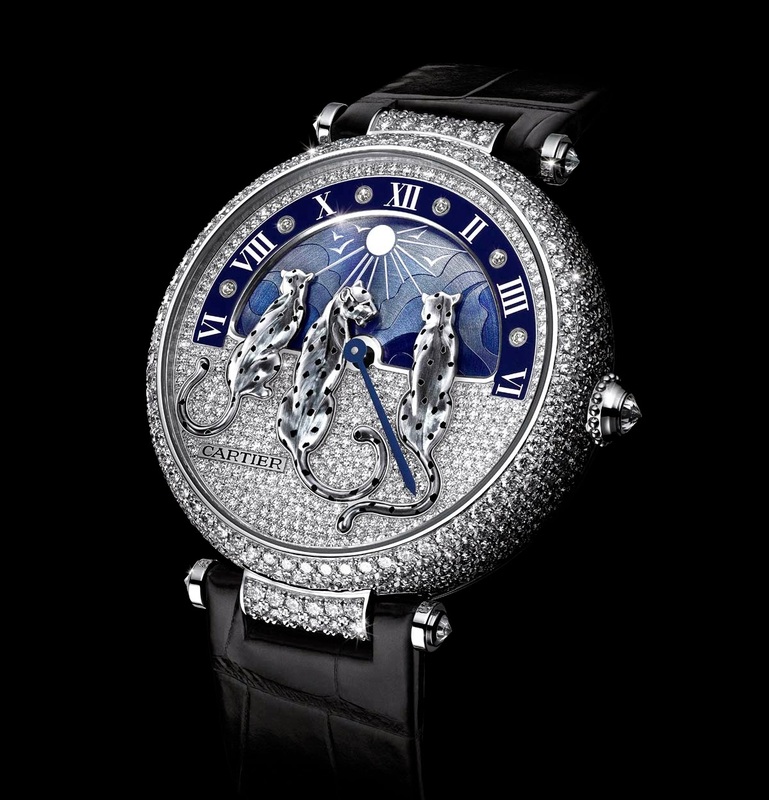 The only hand, sword-shaped and made of blued steel, indicates the minutes.